308 Win. Mixed Lot Brass Ammo With Ammocan! The AmmoMan has gone all out, bringing you unprecedented savings! 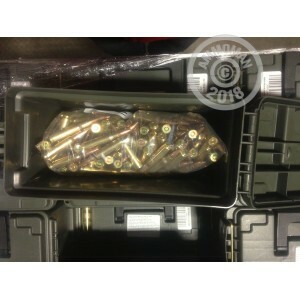 You'll receive 8 lbs Approximately 150 Rounds of mixed lot, brass cased 308 Win. 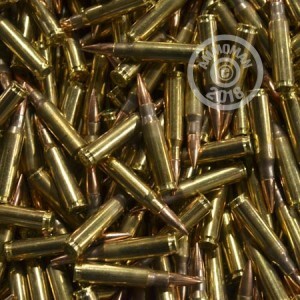 Ammo, loose packed in a reusable Plano 30 Cal Ammocan. All lots will contain a unique mix of brass cased ammo, in a number of different bullet weights, from a variety of manufacturers. Because this is loose-packed ammo, we cannot guarantee a specific number of rounds but have tried to provide shooters with a conservative estimate of the value inside these ammocans. This Is An Extremely Limited Opportunity! We Only Have A Small Number Of These Lots Available And They WILL Sell Out Fast!! Due To Quantities Available, We Ask That You Limit Purchases To One Can Per Customer.